In tech circles, the number 1 is feared and revered. A 1.0 release might install buggy, system-crashing software, or it might offer a thrilling glimpse of the future. When Apple launched the first iPad less than a year ago, many tech experts couldn't "see a good use for the machine" and argued that "Apple's iPad just a big iPod Touch." Others, ahem, thought that perhaps Steve Jobs was on to something. Less than a year later, we can now assess whether Apple's 1.0 iPad was premature or portentous. With 15 million iPads sold and $9.5 billion in new revenue for Apple, it seems safe to say the company made the right bet. Moreover, with more than 100 competing tablet computers announced or on the market, numerous other companies are also clearly trying to get in the game. At the Consumer Electronics Show in January, there were so many tablet announcements that dozens of publications declared 2011 the "year of the tablet." And though Apple has had enormous success with its 1.0 effort, speculation has been building that the next version would have a tough time against an impending onslaught of competitors like Motorola's Xoom and Samsung's Galaxy Tab. Partly in response, Apple recently announced the iPad 2. Over the past week, I've been playing with a review unit provided by Apple, and as advertised, it is notably thinner, faster and lighter. The clever, magnetic Smart Cover is fun and functional, and the front- and rear-facing cameras will be popular for applications ranging from making family video calls to helping document insurance claims. Yet as with the first iPad, tech analysts are already complaining that "Apple failed to move hardware bar with iPad 2." In simple terms, the new iPad's triumvirate of thinner, faster, lighter is seen as only incremental progress without any "surprises." From their perspective, the competition will catch up to Apple's lead in a few months. And in their defense, for a typical product, faster graphics, new cameras and a magnetic cover might not be much of an upgrade. What these critics miss, though, is that unlike most 1.0 duds, the original iPad was itself such a breakthrough that there aren't any major new features needed 342 days after the initial launch. "Thinner, faster, lighter" makes perfect sense when the existing product is already preferred by 85 percent to 90 percent of consumers. Which is not to say that the iPad 2 is perfect. Power users will still want a laptop. People primarily interested in reading text-only books might prefer a cheaper, lighter e-book reader. Less tech-savvy folks might find even the stripped-down interface of iOS too confusing. Last year I struggled to get my grandma up and running on an original iPad, and wished Apple offered some sort of "grandparental" controls to further simplify her experience. Still, if you're in the market for a tablet, the iPad 2 is beautiful, powerful and delightful. It's a pleasure to use, whether you're browsing the news, skimming graphic-heavy pdfs, watching video or playing games. And so far, no other device comes close in price and performance. Analysts who complain about the "incremental" improvements of the iPad 2 risk sounding a lot like the folksy comedian Louis C.K., who recently quipped about modern technology that "everything's amazing and nobody's happy." To date, iPad owners seem to be immune to this malaise. According to one report, "The iPad is the highest-scoring product that a leading consumer satisfaction index has ever tracked." Prior to the iPad, tablet computing was a graveyard of failed innovations. 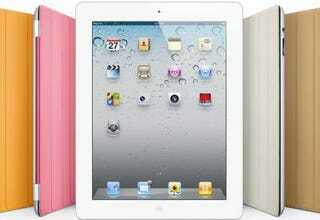 Apple's iPad 1.0 dramatically redefined the category and catapulted Apple to a dominant position in the tablet market. Now "number one" has a new meaning for Apple. The company is far and away the top dog, and contrary to what the critics say, the iPad 2 is going to keep it that way. Omar Wasow is a Ph.D. candidate in African-American studies at Harvard University. He is also the co-founder of BlackPlanet.com. Follow him on Twitter. Omar Wasow is an assistant professor in Princeton’s Department of Politics. His research focuses on race and politics, protest movements and statistical methods. Before joining the academy, Omar served as a regular on-air technology analyst and was co-founder of BlackPlanet.com. Follow him on Twitter.